While in the design canvas, select the email field. The "Form Options" menu appearing on the right hand side has an option to "Change Form", select that now. 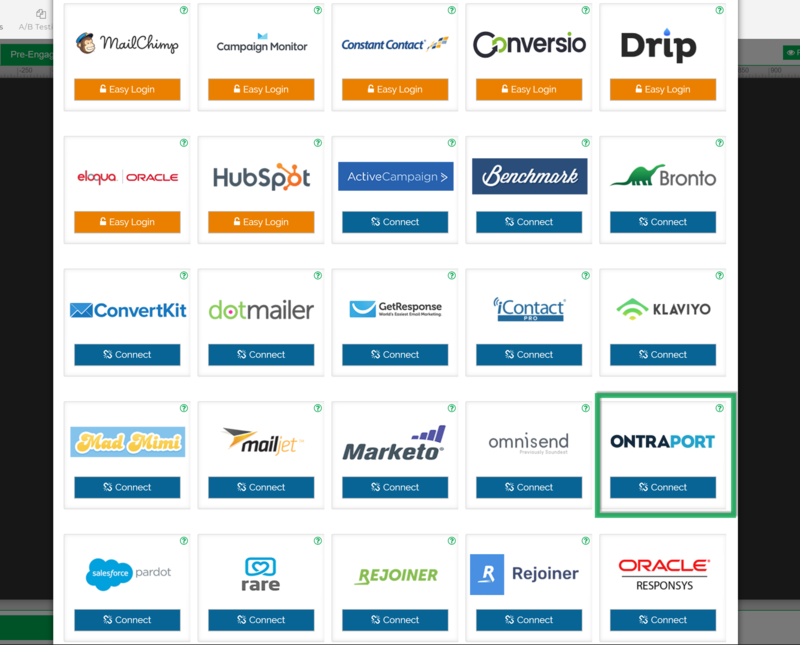 Select "Connect" on the Ontraport tile. 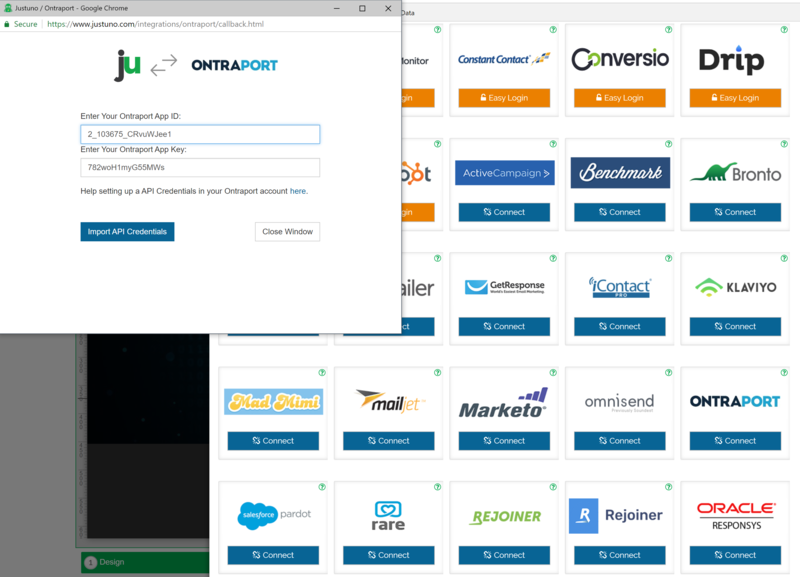 Enter your Ontraport APP ID and APP KEY and hit "Import Credentials". 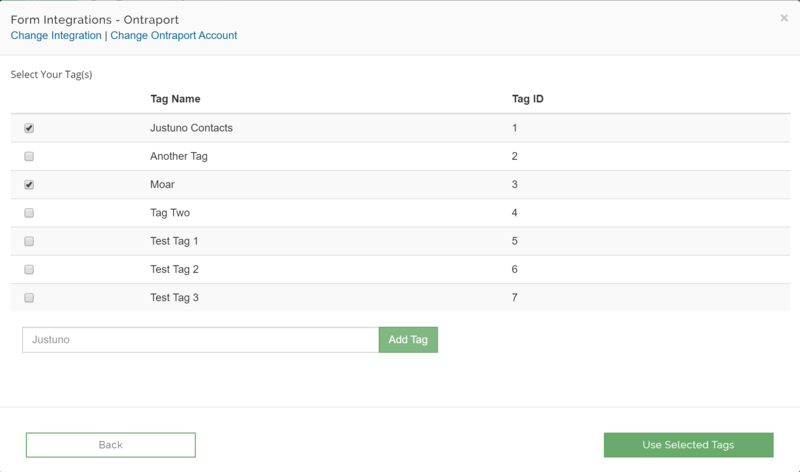 At this stage select the Sequence(s) and Tag(s) that the promotion is to be integrated with. 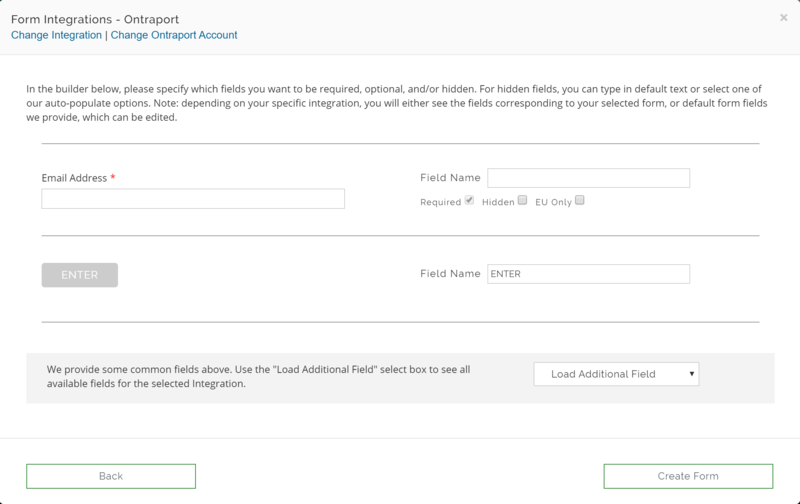 Here you can make fields required or hidden, change the field labels, as well as quickly implement additional fields into your form. 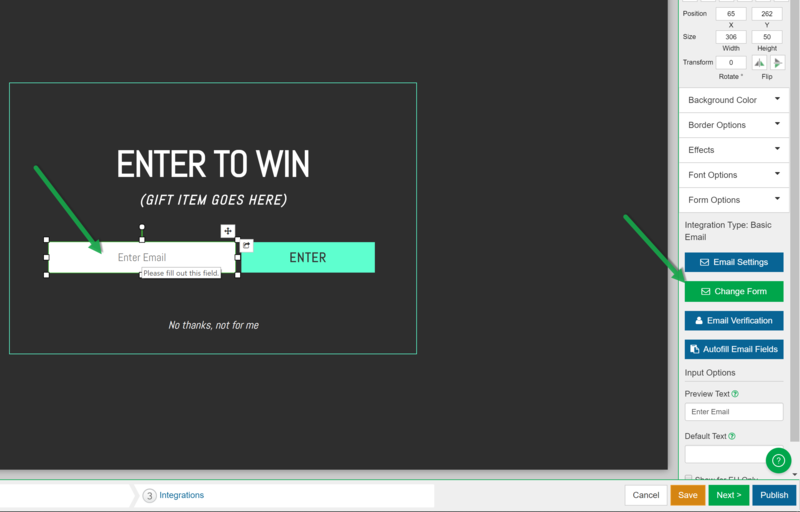 When you're finished making edits, select "Create Form" to complete the integration process.